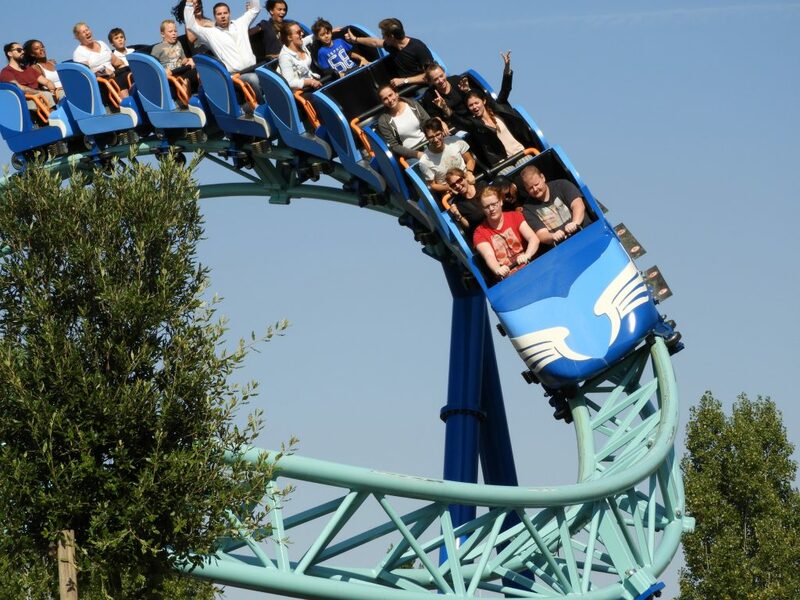 From California to everywhere else in the world, we're your source for coaster news. 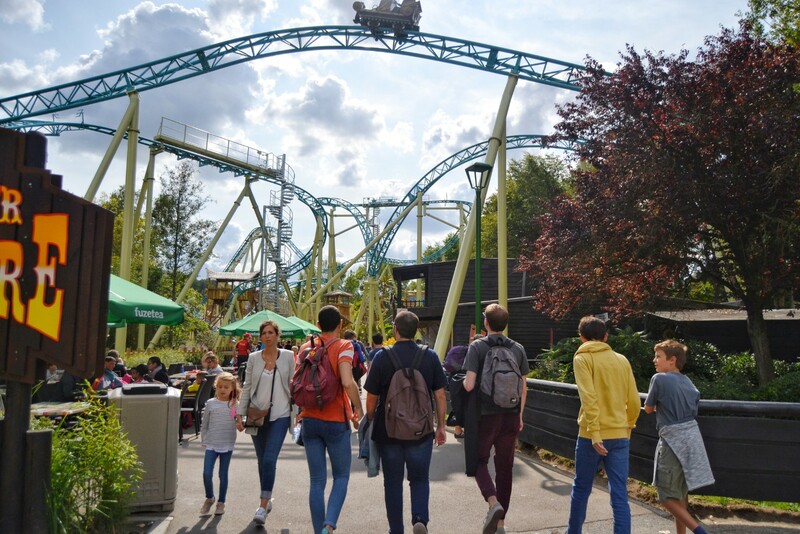 Alex: Now that we said goodbye to the 2018 European peak theme park season, let’s look back to a few of our trips. 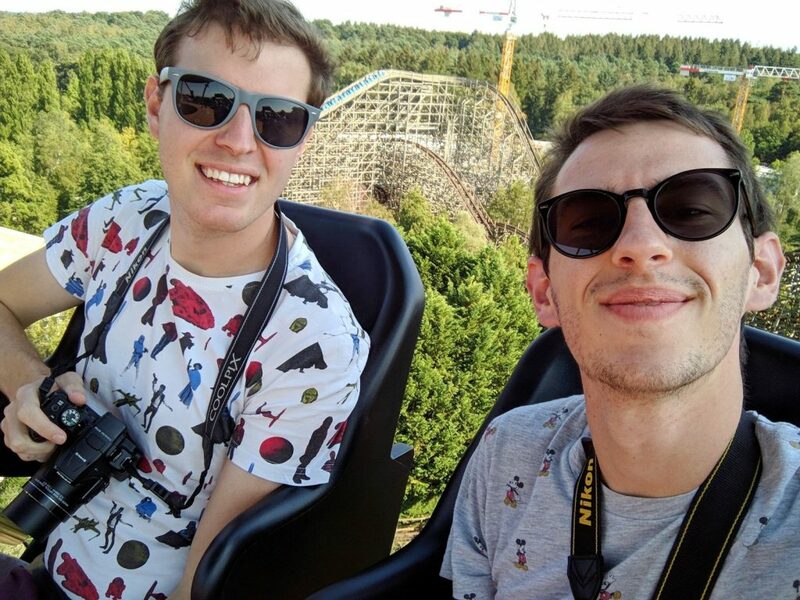 Here at European Coaster Kings we took advantage of our last days of summer holidays to enjoy some of the best European parks! 7 days, 5 parks and 4 countries! Let’s go! 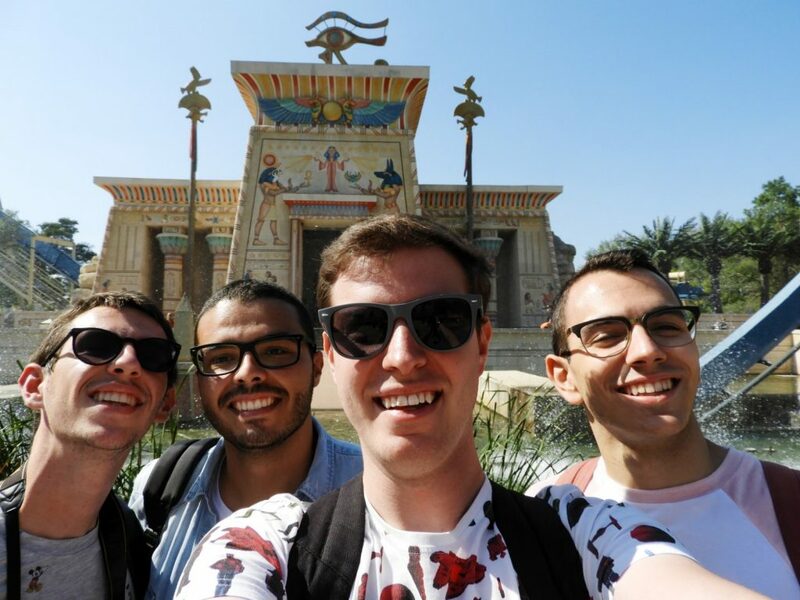 Maybe you followed us on Instagram, so you might know which parks we visited! Keep reading to discover them all, but right now I can say that we went to Belgium, France, Netherlands and Germany. All the parks we visited were new for me, so I was pretty excited to discover tons of new experiences. 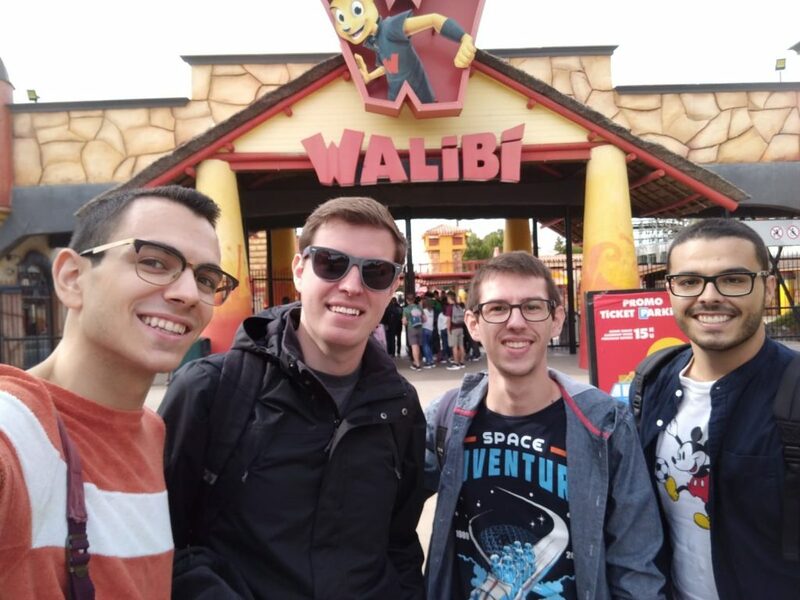 We started our trip flying to Brussels and from there, a short drive took us to Walibi Belgium! Maybe this was the least exciting park of the trip (we would be visiting huge parks the next days) but it was surprisingly good and the best to start with it! Sven was our guide as it’s his home park. 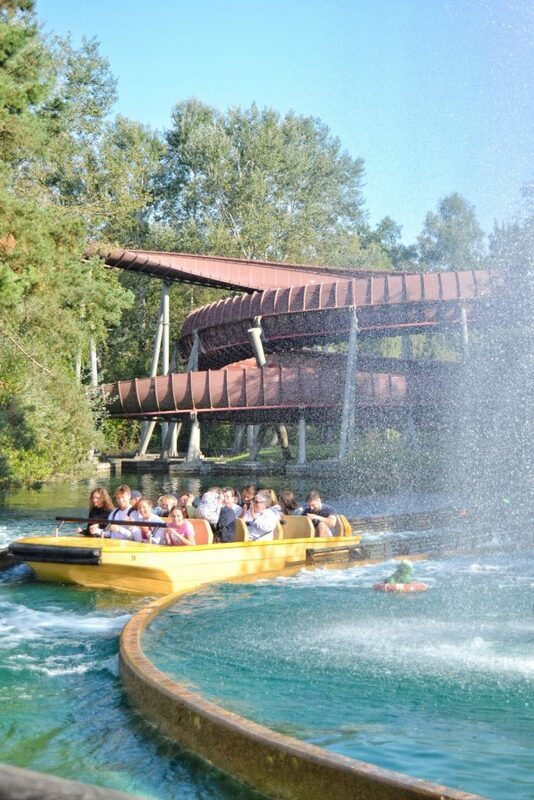 Pulsar is the gem of this park, it’s a thrill but family ride which also serves as a water ride. 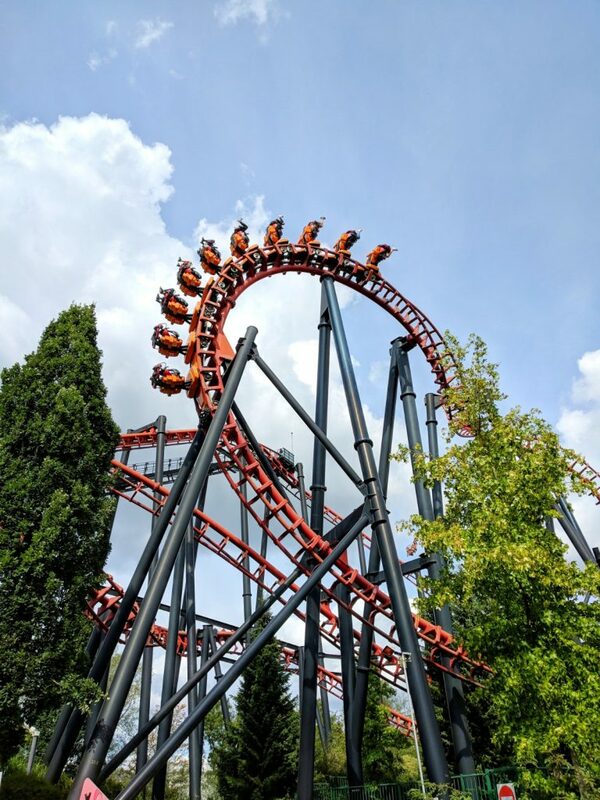 Mack Rides offers an amazing product with this PowerSplash, I can’t wait to see more rides as Pulsar spreading around the globe as it’s a perfect package. Also, I am obsessed with the station, in my opinion it has a very well-thought loading system. 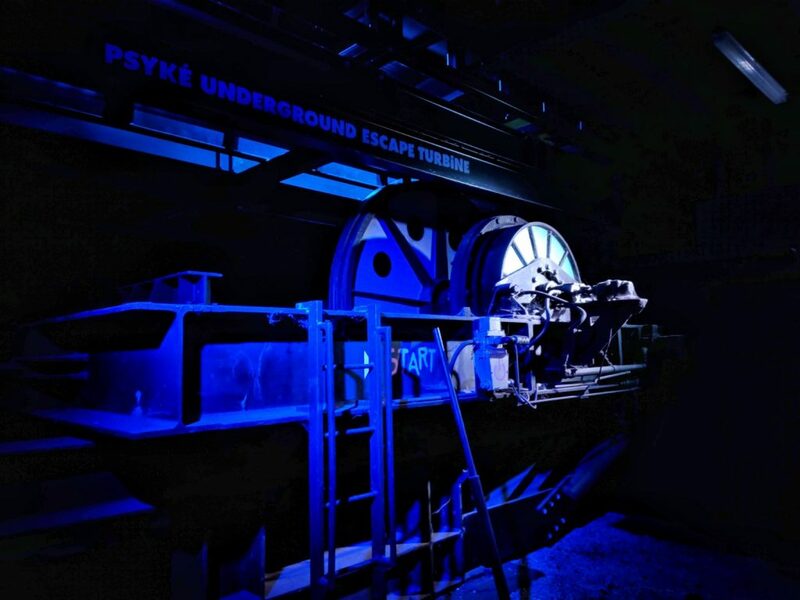 Other surprising rides were Loup Garou with crazy airtime for a woodie and Psyké Underground, from which I loved how they rethemed an old ride giving it a cool soundtrack and simple yet very effective lighting. It’s so cool that they have the old launch system on display as part of the theming. First “New for 2018” ride of the trip: Tiki-Waka! 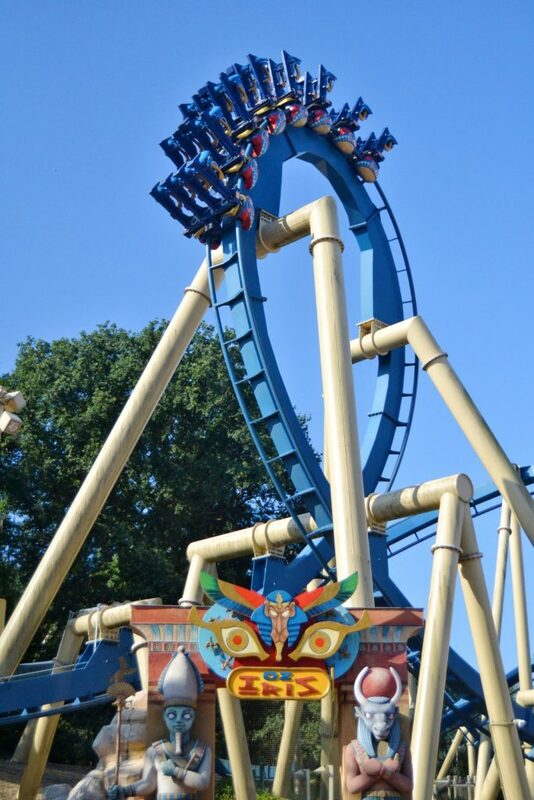 Even though the coaster can disappoint coaster fans quite a bit, I think it’s a very enjoyable ride for families with young children. 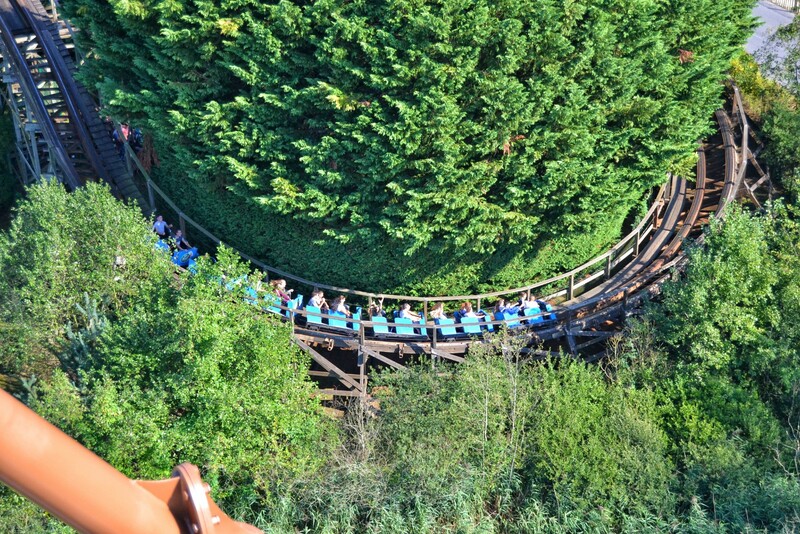 I particularly liked the rope trail that crosses over the coaster! There are tons of good photo ops! New day, new park (I think that this could be the motto of our trip haha), the next day we drove all the way down to Parc Astérix. Clearly, the highlight of this park is OzIris. I had only heard good things about it and maybe that’s why it disappointed me a little bit. 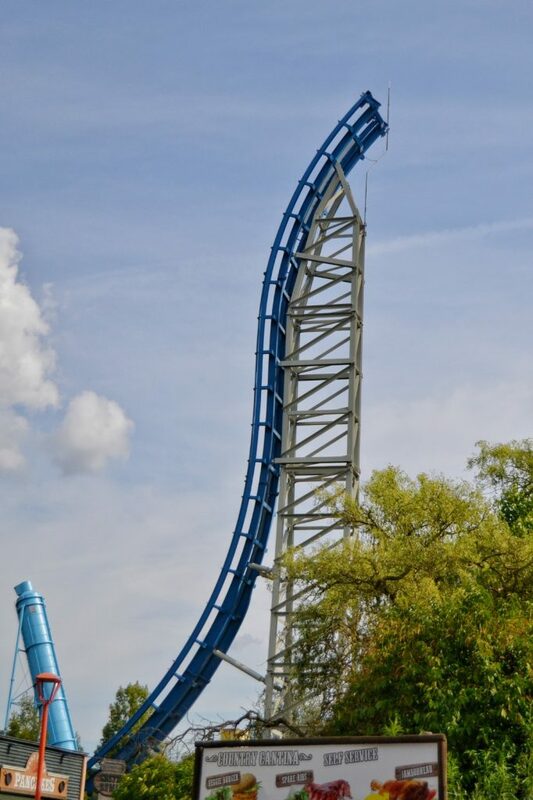 The coaster is so good, don’t get me wrong, but I was expecting a bit more of the overall experience. Maybe because we didn’t go through the main queue (we went through Express and Single Rider) or maybe because I was expecting the theming to be not so plain, for me OzIris is not the “perfect coaster” I’ve heard about. 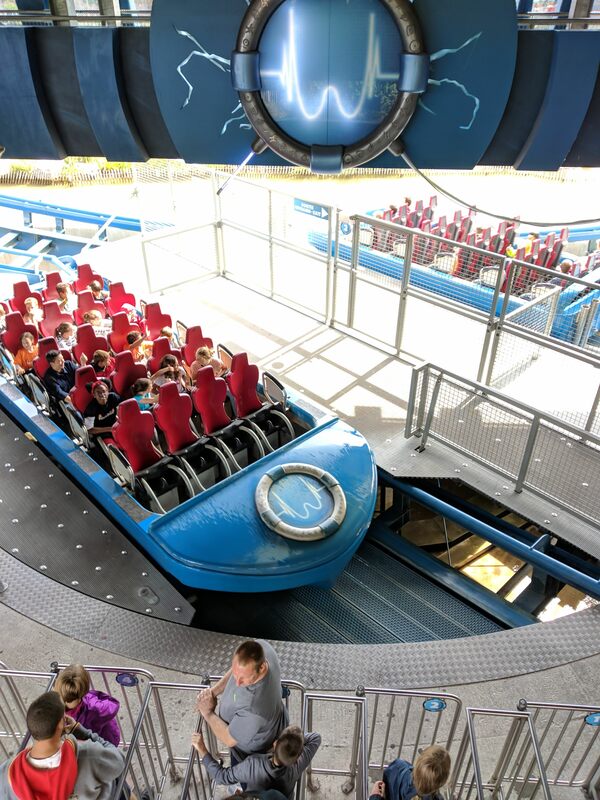 Despite that, I want to declare my love for the perfect Zero-G Rolls B&M designs nowadays. During this trip I discovered that I love the feeling of going through this element without head-banging. Le Transdemonium, a unexpectedly creepy dark ride with a cool ride system. 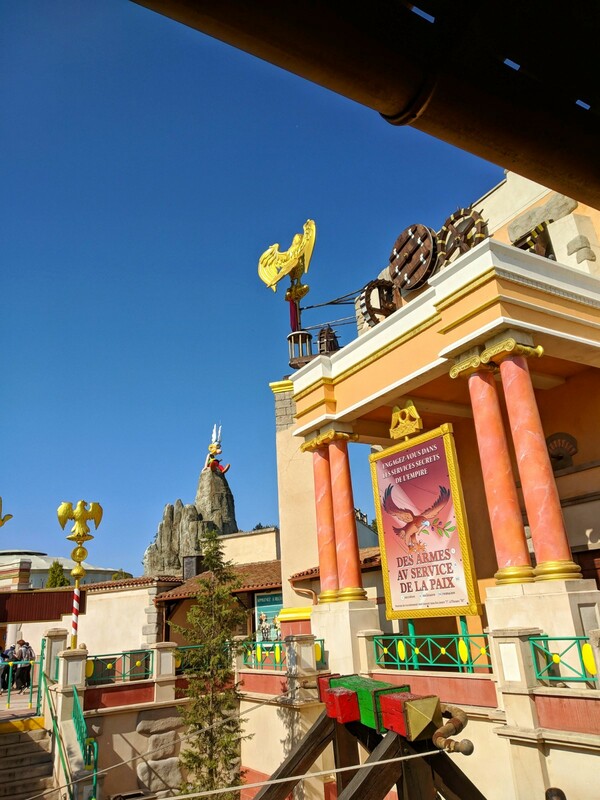 The Greek area for having Le Cheval de Troie, unexpectedly crazy fun flat ride, and Pégase Express, a good addition for the familiar target. A necessary step between the Zierer’s at this park and the bigger coasters. Tonnerre de Zeus for existing in an exact point between insanity and pain. Goudurix for not being that bad, except it is bad. 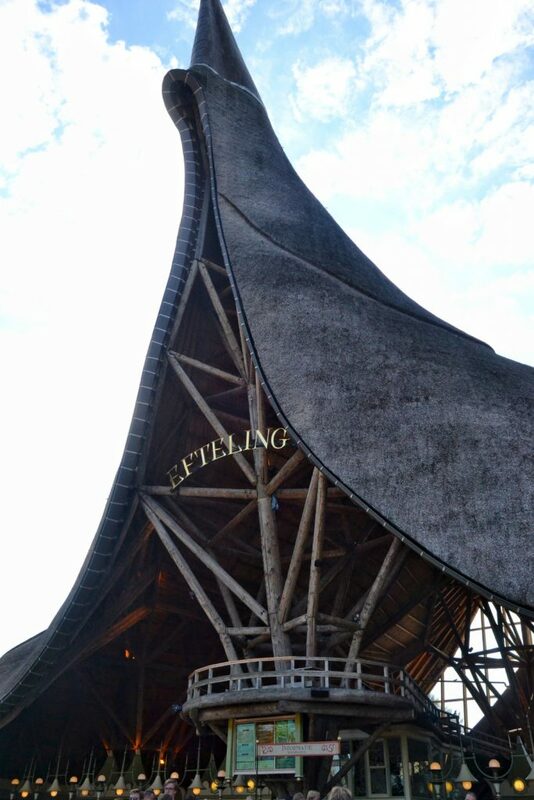 L’Aérolaf, the newest attraction with an extra price that basically is a bar that goes up to 35 meters. Even though it can be a little expensive (I remember 6 or 7€ for a soft drink) it’s a cool experience as it’s next to Goudurix and Tonnerre de Zeus and can give you amazing views of the park while enjoying a drink! Hey Sven! 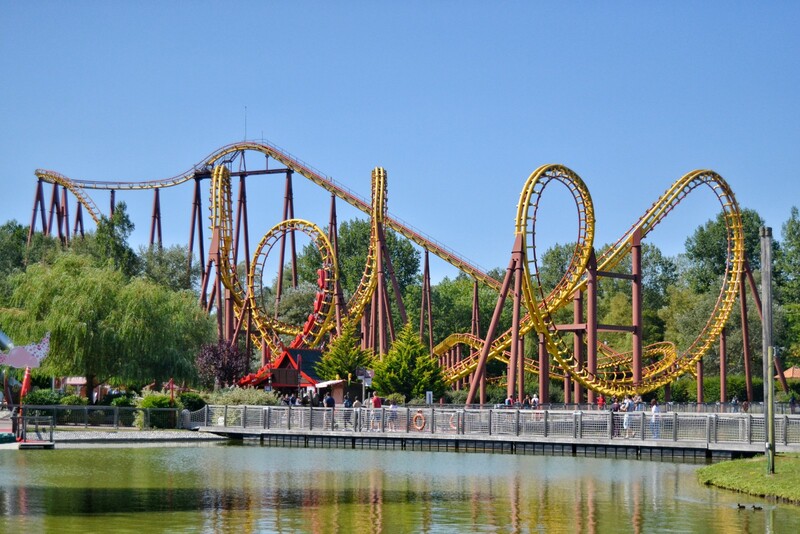 Despite the fun we had at Parc Asterix, there’s probably a reason why I didn’t enjoy the park at its fullest. Even though Astérix & Obelix are known characters in my country, Spain, I was not into the Astérix universe when I was a kid. This is an issue that parks based on IP’s have to inevitably face, not everyone will know the characters and situations by hearth, so I felt kind of lost. 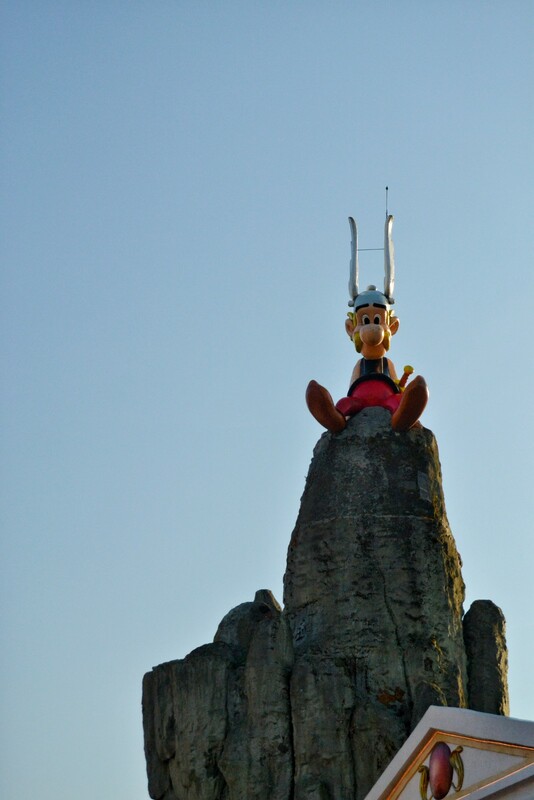 On the other hand, there’s the fact that there are tons of jokes and puns around the park but in French. That’s a problem when non-speaking French people like me visit the park. I had a feeling of “I’m sure this is funny but I don’t get it” that confused me a little. 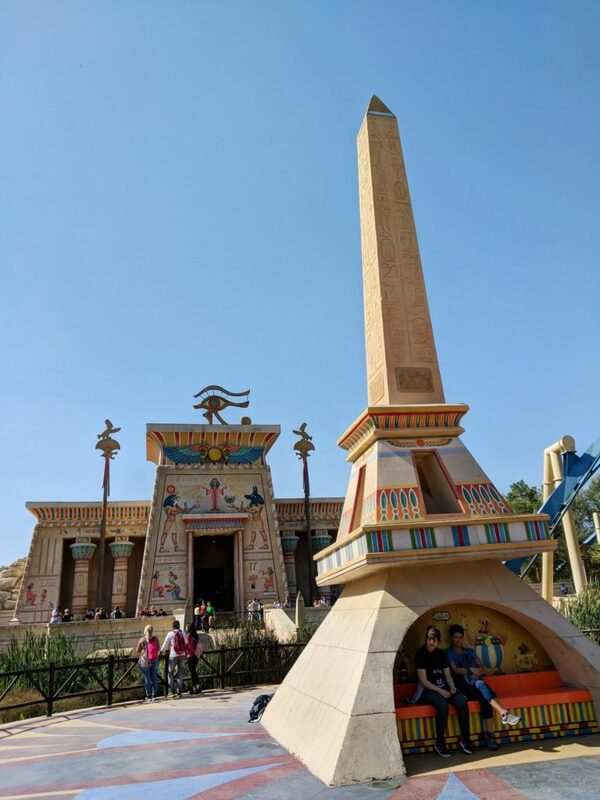 I also want to notice that this was the only park where we used an Express Pass, it was a Saturday and we wanted to do all the creds so I think it’s fair enough. 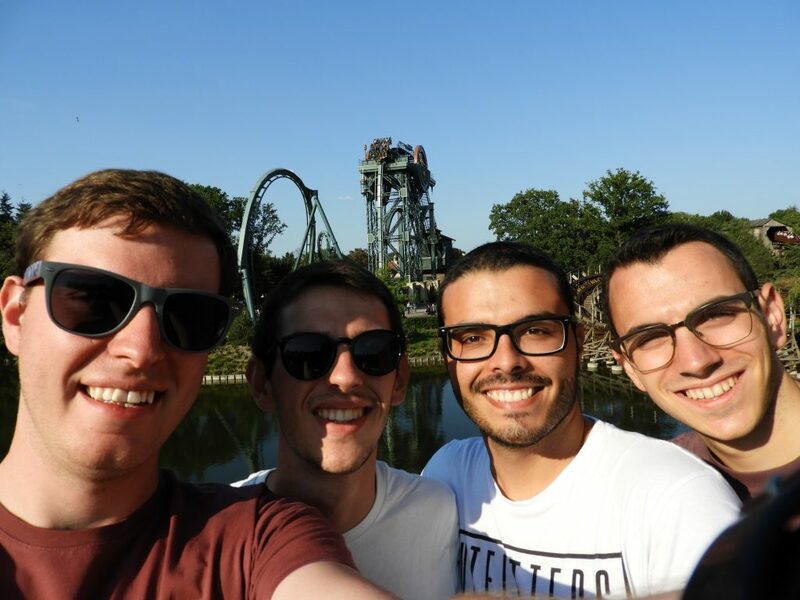 Selfie time with one of the best coasters of the trip! I was eager to discover this park. 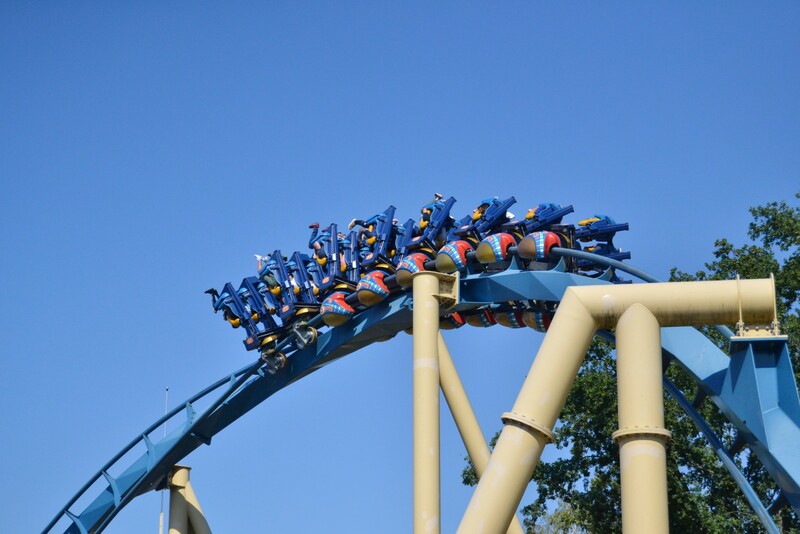 For me, it was one of those kind of parks you know the coasters, you’ve heard of some rides, but it’s not until you’re there when you realize how amazing and special it is. For me, this is a perfect park. 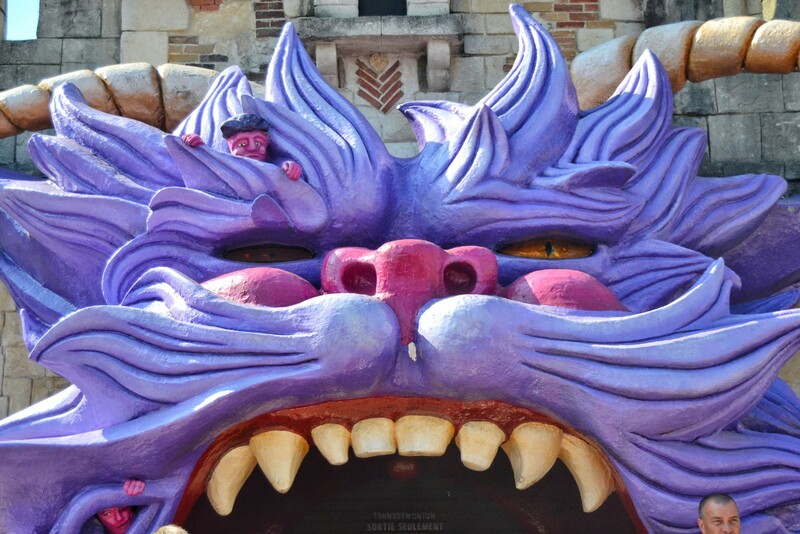 The theming is carefully detailed. 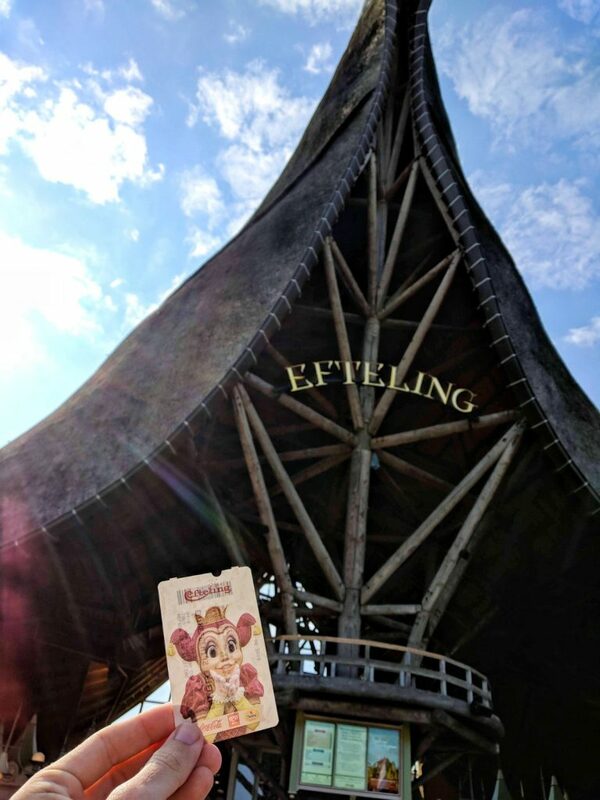 At the Efteling there’s something in the air that covers this park with magic and the guest can feel it. 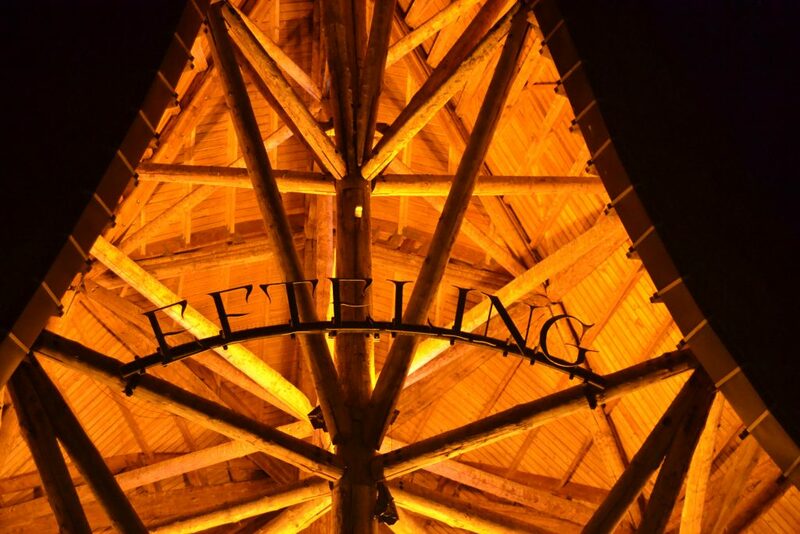 The smells, the music, the landscaping, the fact that it’s located in a dense forest… everything is taken into account to create an experience like no other. 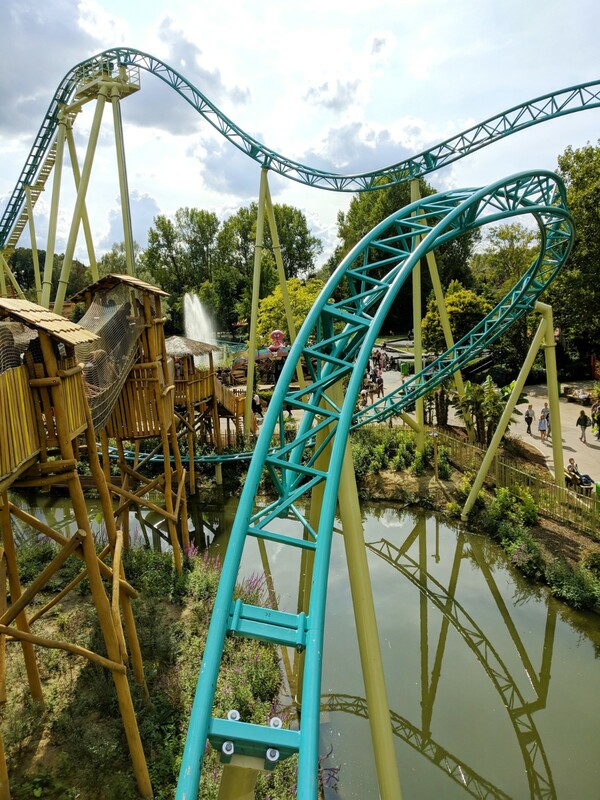 The amount of rides is enough to cover all targets and ride types– you have Baron 1898 as a thrill coaster, Joris en de Draak as wooden coasters, De Vliegende Hollander (The Flying Dutchman) as a water ride, Vogel Rok as a family coaster and the most important: the dark rides. Fata Morgana might fall a little short if we compare it to Disneyland’s Pirates, as they’re both a boat dark ride. 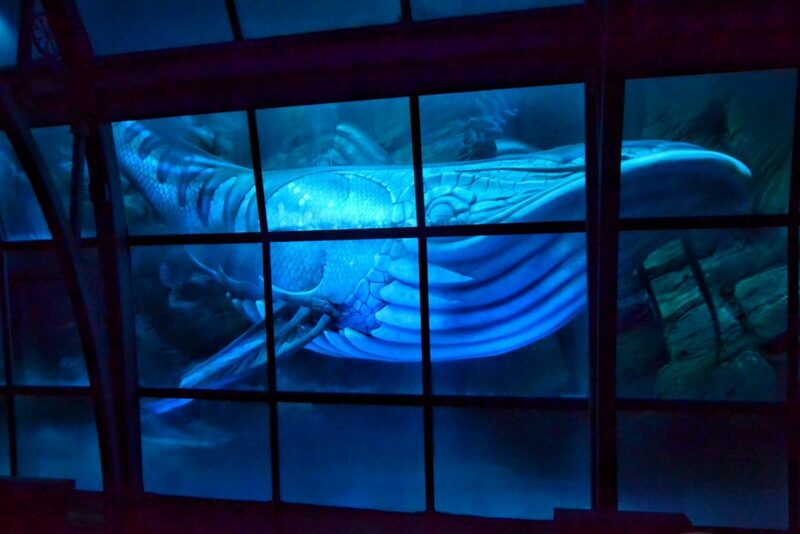 Needless to say it’s also an excellent dark ride, for which I needed a reride in order to notice all of the hidden details. Unfortunately, the next day was closed for maintenance. Droomvlucht (Dream Flight) is the cutest thing ever. 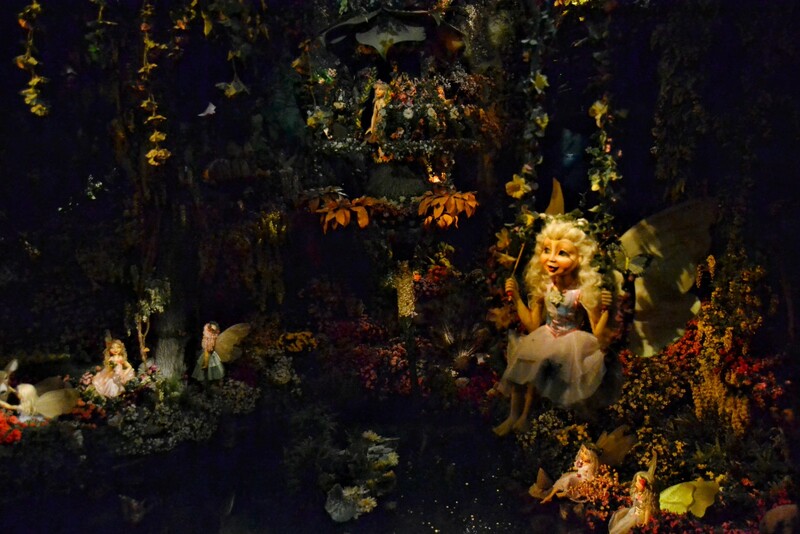 The scenes were massive and full of animatronics and the smell to flowers is one of the highlights of this ride. Luckily an air freshener is sold at the exit shop so you can imagine what my room smells to right now haha The grand finale is surprising if you don’t know what’s going to happen (and I won’t spoil it for you) but I think everyone agrees that it blows coaster fans away. 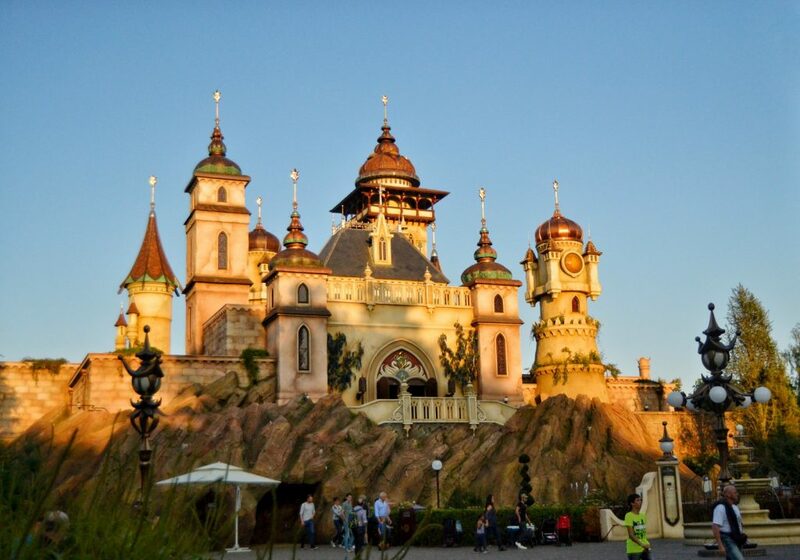 And the newest ride and one of the main additions last year in the European market: Symbolica. Do you see Pardoes at the top left of the pic? That was my reaction to the ride: shocked! There are so much things happening around you really need more than 1 or 2 rides to be aware of everything. 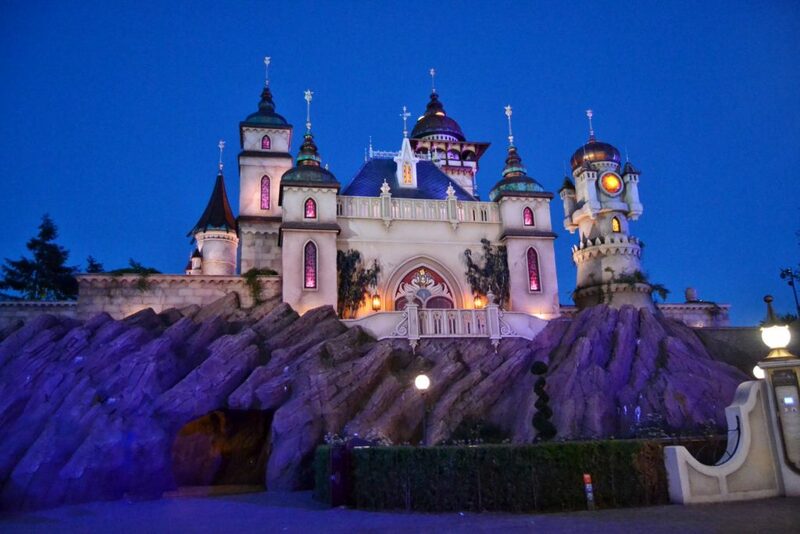 It’s an instant classic, another Efteling masterpiece. Truly magical. As the park closed 2 hours ago, we were the only ones wandering through the avenue so we took our time to take photos and walk all the way to the park exit. 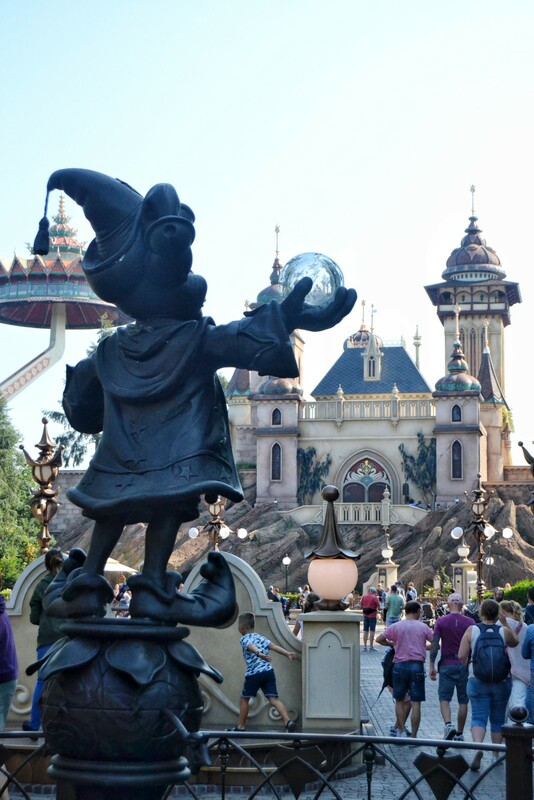 Efteling is a huge park, big enough to stay at one of their hotels, and so we did that. 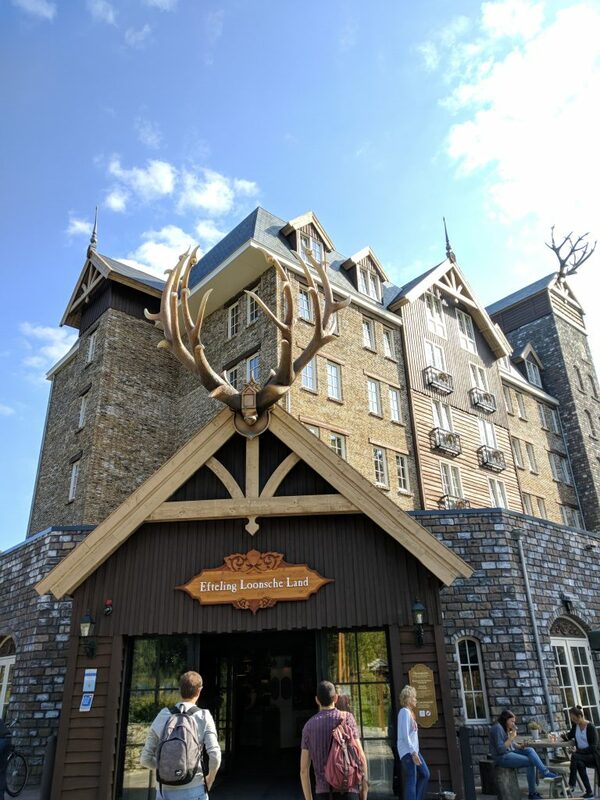 Our stay at the Loonsche Land was enjoyable, the price for a room was fair and it included breakfast and park tickets, also it’s a short walk to the park! Totally recommended. 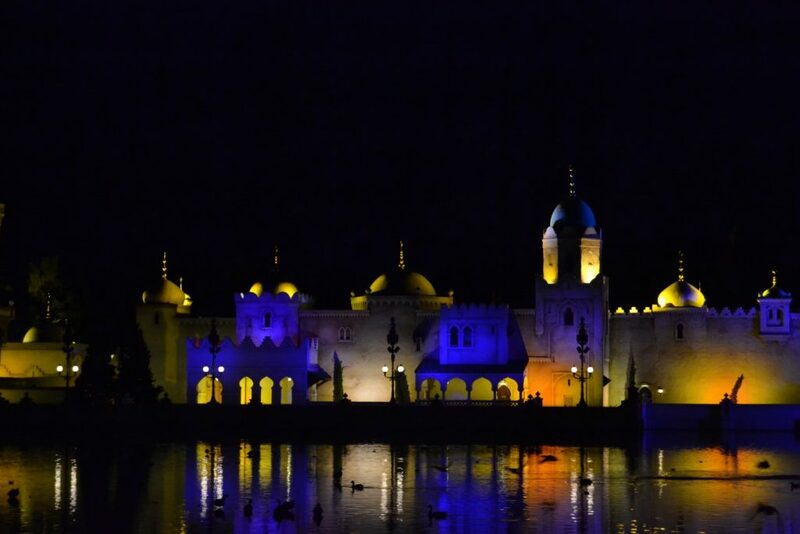 Continue on Page 2 to continue discovering our final parks of the European park route! Follow Our Brands on Social Media! Book your travels with us! Sean, owner of Coaster Kings, is also a certified travel agent! 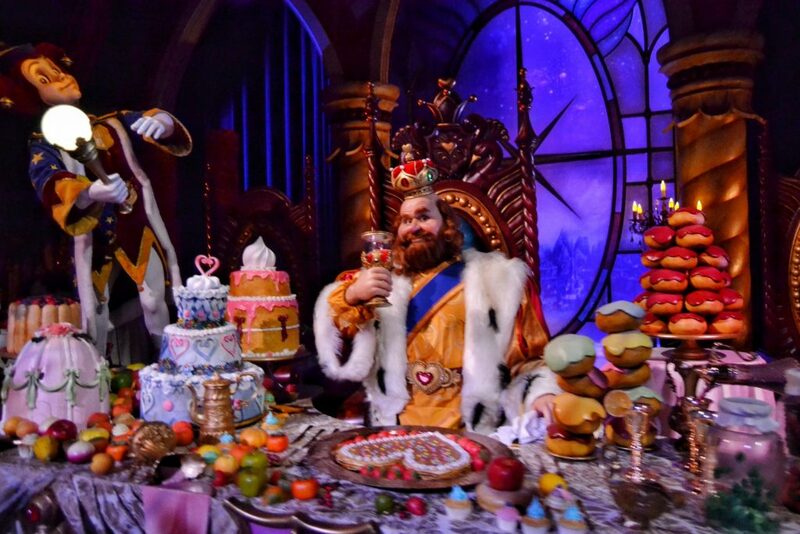 Get great deals on theme park tickets, resort stays, and vacation packages to your favorite theme park (and non-theme park) destinations! Simply email at sean@magicalmousetravel.com or message on Instagram or Facebook!